Benue State was in the news throughout this week as the food basket of the nation was ravaged with aftermath of continued herdsmen attacks. This led to the death of many residents of the state including two mobile policemen deployed to Ashuwa village in Logo local council. 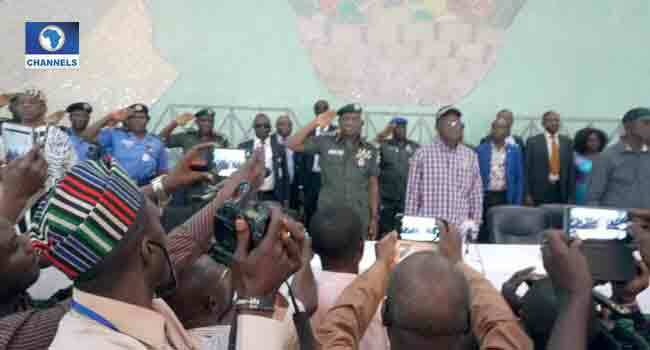 The policemen were part of the patrol deployed to maintain security between the Benue and Nasarawa border. The increased attacks got the attention of President Muhammadu Buhari who held a closed-door meeting with Benue State Governor, Samuel Ortom. The president then ordered the Inspector General of Police, Ibrahim Idris, to immediately relocate to Benue restore law and order and prevent further loss of lives and properties, from escalating in the state. 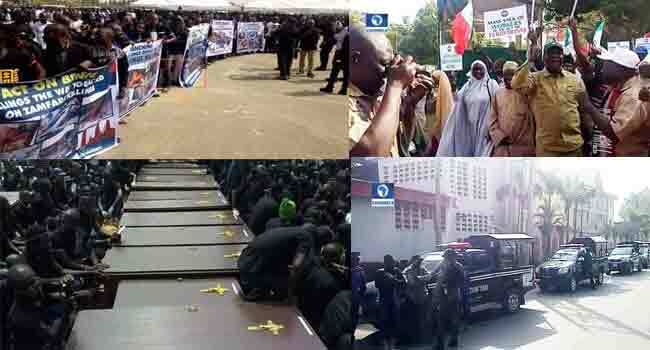 It, was, however a black week in Benue Sate as three days was set aside for mourning victims of the herdsmen attack making tears flow freely in Makurdi, on Thursday as the state a mass burial was conducted for the over 70 persons killed. Miyetti Allah in response to Governor Ortom, the Secretary-General of the Miyetti Allah Cattle Breeders Association of Nigeria (MACBAN), Mr Othman Ngelzarma absolved his association of the Benue killings saying herdsmen are peaceful people and not killers. 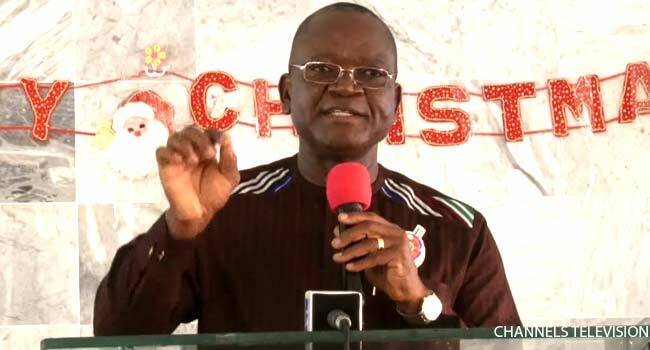 Governor Ortom however insisted that the Miyetti Allah Kautal Hore is behind the New Year attacks in the state saying he has documentary evidence to back up his claims. As Benue killings left the country in shock and mourning, the Inspector General of Police (IGP), Ibrahim Idris, on Wednesday moved to Benue State to restore law and order in the state as ordered by President Buhari. The special adviser to the President on media and Publicity, Femi Adesina also said the federal Government is not folding its arms over the attack those accusing president Buhari on tolerating the attacks carried out by suspected herdsmen in the country are making very unfair comments and those linking Buhari’s tribe to the attacks are ‘unkind’. This week witnessed elections in some part of the country. However, there was tragedy in Delta State when an ad hoc staff of Delta State Independent Electoral Commission (DSIEC) deployed to Onicha-Ugbo, Aniocha North Local Government Area of the state slumped and died while on duty. The local government election ended with PDP winning 23 Local Government Areas. 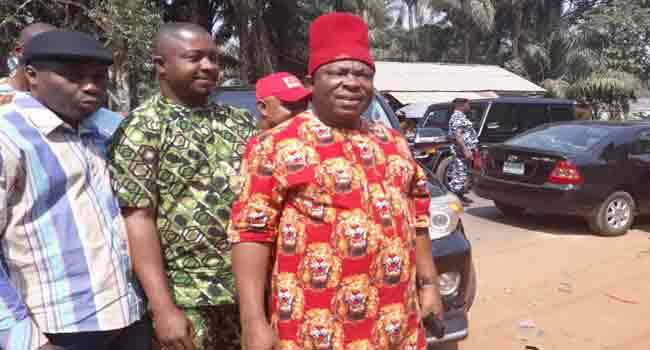 In Anambra it was a joyous moment for the All Progressives Grand Alliance (APGA) as INEC declares ex-APGA national chairman, Victor Umeh, winner of the Anambra central Senatorial seat after the residents casted their votes to elect the new Senator. The senatorial candidate of All Progressives Grand Alliance (APGA), Victor Umeh at the polling station. In Kaduna State, teachers dropped their teaching material, picked up placards, defied warning by the state government not to protest, and marched through the major street in protest. Police and other security operatives however mounted surveillance to curtail the protest from escalating. The State Governor Nasir El-Rufai however stuck to his guns, despite the protests and criticism, defending his administration’s decision to fire over 21,000 teachers in the state. 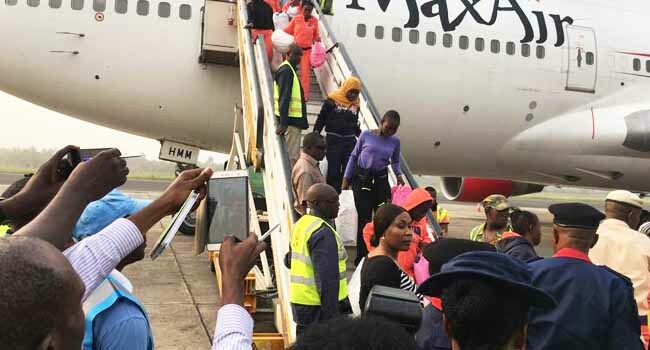 The end seems not to have been hered of Nigerians returning from Libya as 490 Nigerians returned from the northern African country, this week. This was part of the first batch of over 3,000 persons that are expected to be evacuated to the country over a period of time. FG in continued advise to Nigerians leaving the shores of the country, desperately, said they should ‘perish thoughts’ of going to Libya and also vowed to prosecute human traffickers. President Buhari also asks Nigerians to stay at home and build the economy rather than putting their lives at risk by daring the Sahara Desert and the Mediterranean Sea.